First, start (don't finish) with the sponsor's guidelines. Mark them as you study, noting such things as funder’s priorities, eligibility requirements, formatting details, deadline, content idiosyncrasies, review criteria, etc. The guidelines will probably specify certain topics or questions that must be addressed. If possible, use the sponsor's exact phrases as your headings. You may even wish to borrow some of the language of the guidelines if it fits naturally into the framework of your proposal. For example, if the sponsor is looking for a “transdisciplinary" approaches to the problem, you would do well to use that term rather than “interdisciplinary” to describe the same activities. Second, after you have studied the guidelines, if there are sections that are either too vague or too specific for comfort, check with the department research administrator who may be familiar with this opportunity. This way you will also alert the administrator to your intent to submit and allow them to plan the process. Alternatively, ORSP staff or the sponsor’s program staff may be able to provide a clarification. Third, break the proposal up into small and simple subsections – especially if more than one person will be writing. Give each subsection headings and subheadings (referring again to the guidelines), and write slavishly to this outline. Using subheadings liberally will not only help you organize your material, but will also guide reviewers through your project description? Fourth, compare your budget and your text to insure that for every cost figure a corresponding activity is mentioned and justified in the text. Fifth, pay special attention to the abstract. 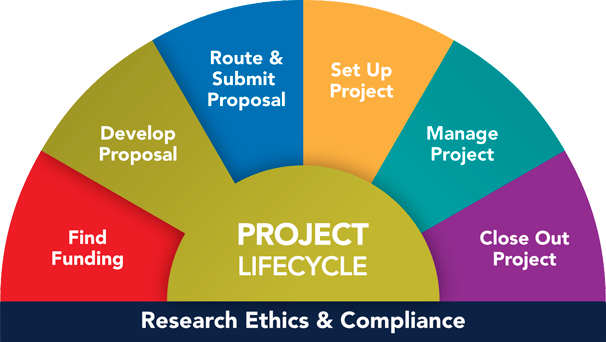 Having rushed through the project description, you will find that careful construction of the abstract will serve both as a summary of what you intend to do and as a check on whether you have omitted any essential topics. Don’t just copy and paste your Aims or Significance section. Make this section fresh, informative and engaging; remember that the reviewer may go directly to your Project Description after reading the Abstract, so avoid redundant language. Sixth, get an internal review from respected colleagues before you send to the funder for review!